AIR JORDANS MAY BE DONE WITH…. that this may be the end of the 10+ year reign of footwear. 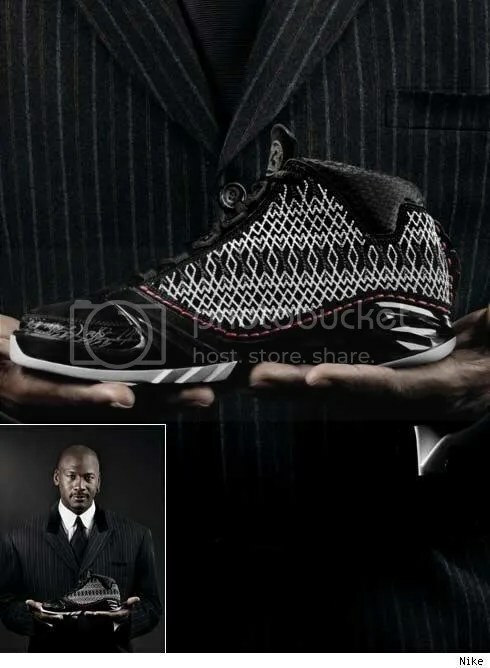 There are rumors that the AIR JORDAN XX3 will be the last of the almighty breed of JORDAN sneakers. Jordan’s jersey was, of course, number 23. But Nike, nor Jordan, will say if this is the last shoe, the AP reports. The original shoe, which was unveiled in 1985, came behind a handsome $2.5 million dollar Nike deal. They quickly left the public consciousness as being an appurtenant basketball shoe, to a fashion accessory that cost around $150. You are currently browsing the archives for the AIR JORDAN category.